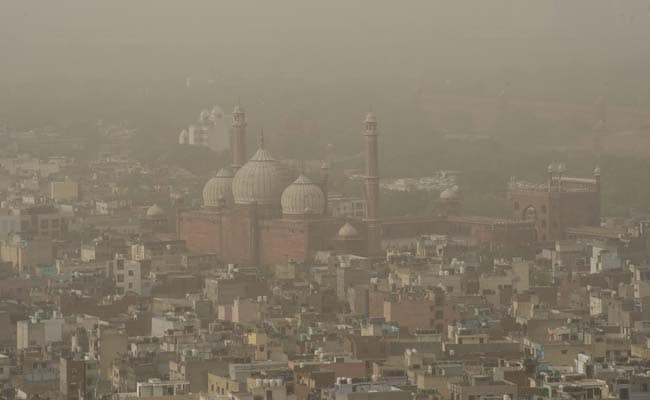 New Delhi: The enforcement bodies’ actions on public complaints against pollution have been “grossly inadequate”, the Central Pollution Control Board or CPCB has said while urging these agencies again to join social media platforms to address the grievances concerning them. The directions have been made to the NDMC, SDMC, EDMC, DMRC, CPWD, DDA and the state pollution control boards of Delhi, Rajasthan, Haryana, Punjab and Uttar Pradesh, among other public bodies. In a meeting with public agencies and state pollution control boards last week, CPCB Member Secretary Prashant Gargava said the response to complaints lodged on the SAMEER app, which was developed by the CPCB, has been “inadequate”. “They have to join social media platforms and take action in respect of complaints concerning them,” the CPCB was quoted as saying in the minutes of the meeting. “Actions on public complaints by enforcement bodies were found grossly inadequate. Many agencies have not even joined the social media platform,” it said. This is the second time the CPCB has urged the public agencies to address the complaints filed against those violating pollution norms. Earlier on November 14, the CPCB had directed public and enforcement agencies to immediately join social media platforms where citizens could lodge their complaints on pollution directly. Talking tough on pollution in Delhi, the Supreme Court Monday asked the CPCB to prosecute government officials for not acting on around 250 complaints received by it from citizens. In an affidavit filed in the court, which is seized of matters related to pollution in Delhi-NCR, the CPCB said that “of 749 complaints received on social media and e-mails till November 22, 2018, about 500 complaints (67 per cent of the total) were attended to by 52 teams of CPCB while associating with clean air campaign during November 1-10, 2018”. It further said the teams continued a “similar campaign on their own on November 13 and November 20 exclusively to attend to the air pollution complaints received on social media and e-mails. Remaining 249 complaints have been assigned to respective nodal agencies and are in the process of getting resolved”. The affidavit said as per analysis of complaints during the clean air campaign, the highest number of air pollution incidents were found to be related to construction and demolition activities, followed by burning of waste, road dust, unpaved areas/roads, traffic congestion and industrial emissions. In continuation of the opening of social media accounts on October 29, the affidavit said the CPCB has set up a separate cell for management of citizens’ complaints being received via Facebook, Twitter, e-mails and the CPCB’s website since November 5. “Complaints received at social media accounts namely Twitter and Facebook have to be resolved by respective nodal agencies who are responsible for taking appropriate action,” it said. “An efficient mechanism for resolving the complaints through social media can be ensured through respective nodal agencies when they open their official social media accounts and follow the account created by CPCB so that the complaints received at CPCB end can be forwarded to respective agencies. Action taken by agencies can be informed to the complainant on the same platform,” the affidavit said. It said that on October 31, an e-mail was sent to the nodal agencies to create their own social media accounts so that complaints received by the CPCB could be attended to by them and the CPCB had also held four review meetings in November with the representatives of the nodal agencies. It said that as on November 24, 18 nodal agencies provided their social media accounts to the CPCB which included the Haryana State Pollution Control Board, National Highway Authority of India, Delhi Traffic Police, Delhi Transport Department, Delhi Metro Rail Corporation, Delhi Development Authority, Gurgaon Municipal Corporation, Uttar Pradesh Pollution Control Board and the three municipal corporations of Delhi. Delhi has been battling alarming levels of pollution for over a month due to regional factors like stubble burning and localised factors like pollution from vehicles, firecrackers, construction activities among others, following which a number of steps were taken by the CPCB. Last week, the Supreme Court-appointed Environment Pollution Control Authority Chairperson Bhure Lal also lashed out at enforcement agencies, alleging that Delhi’s civic and urban bodies are “not properly implementing” the directions issued to curb pollution. Previous story Seen These Pics Of Sara Ali Khan With The Taimur-Inspired Doll?